Cold brew, folks! As simple as can be! You CAN make your own for about the same amount of time it takes to brew you regular warm cuppa. I make it for myself all summer long. And it is so good that I’ve been over-caffeinating myself as of late. Thus, I have also started making a decaf batch to switch over to if I am still drinking past noon o’clock. Here is how you do it, if you haven’t yet made the warm weather switch. To *make* the coffee you must start with coarsely ground fresh coffee. Fill up whatever size container that meets your needs. Put in 1 tablespoon of grounds per cup of liquid. Then shake or stir grounds until saturated, or else they will float. And put it in your refrigerator for about 12 hours. That’s it! I do this in the evening, using a quart sized mason jar - fill, cover, shake, refrigerate overnight. I usually give it another few shakes through the evening whenever I go in the fridge to grab something. In the morning, aka coffee time, I pour it into my French press and plunge the grounds. 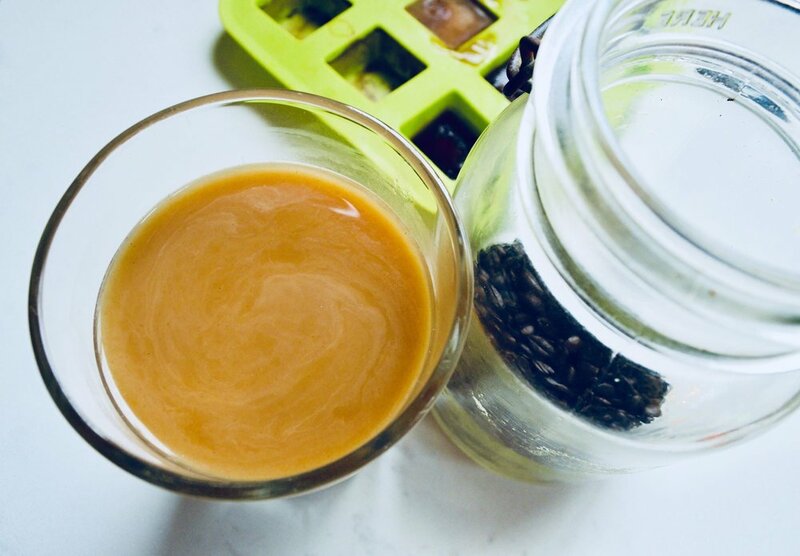 Then I pour myself a glass and pour the remainder of the coffee back into my (rinsed out) mason jar to keep it refrigerated until I am ready for the rest. Keep it chilled properly. 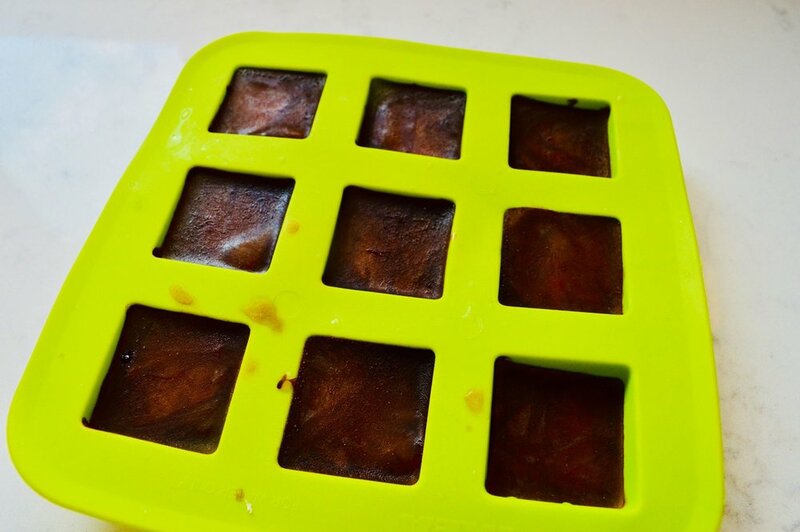 Use a bit of the coffee from each brew to fill a few ice cube tray vessels. And there you have coffee cubes! 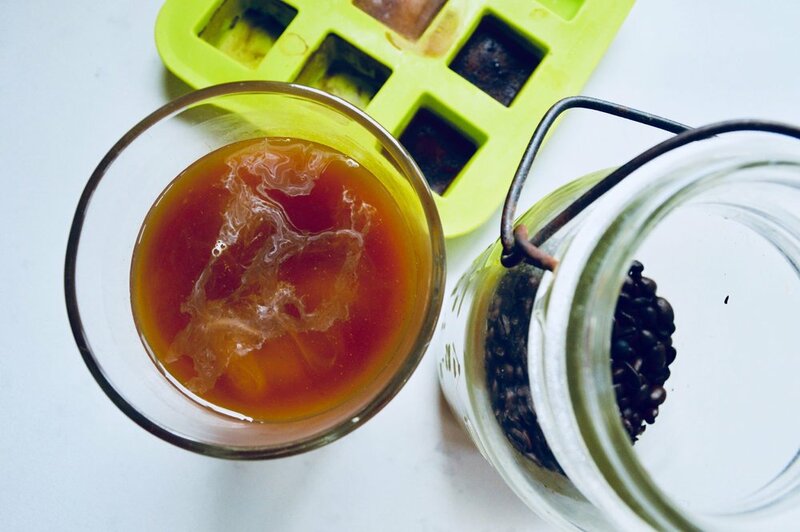 No watering down your fancy shmancy home brewed iced coffee! The Basic - drink it black or with just a bit of cream. I have been using Ripple, which is a vegan plant-based non-dairy creamer. Or get some heavy cream from a local creamery (make sure those cows and goats are living happy, healthy lives, please people!). Flavored - add a bit of vanilla extract - or spices like; cinnamon or nutmeg or cloves - to steep with the grounds. For a quart size batch I will use ½ teaspoon of either extract or spices. You could also add cocoa. Decaf - I don’t drink more than 3 cups of caffeinated coffee a day. And none past noon. This decision is obvious for me because I will have difficulty falling asleep within ten hours of ingesting so much caffeine. But even if you metabolize caffeine in a manner that doesn’t clearly affect your sleep, sleep studies do show that, even if unbeknownst to you, you are having sleep disruption if stimulating yourself within 6 hours before rest. Crazy, right!? Good thing there is decaf! Just make sure you are using beans that have been decaffeinated by the Swiss Water Method. Many coffee sellers use a conventional method of steaming the beans to open up their pores then flushing them with chemical solvents (methylene chloride or ethyl acetate) for like half a day straight to remove the caffeine. You don’t want to drink that. I hope this was helpful and undaunting! Save some money, some time, some plastic cups, and be a badass home brewer.